Get 15% off your booking price at Go Ape, the UKs best forest adventure! This Military Discount voucher code is valid for normal bookings, Tree Top Adventures and The Forest Segway! Family and friends can benefit from this military discount as only one card holder is required to be present on the day. Thanks you all for your service! Enjoy your savings made at Go Ape. 1. Click ‘Get Code’ to get the code and open the Go Ape web site. 3. Enter the code shown above at checkout to enjoy 15% off ! 4. Proof of armed forces employment will be required at the course upon arrival. 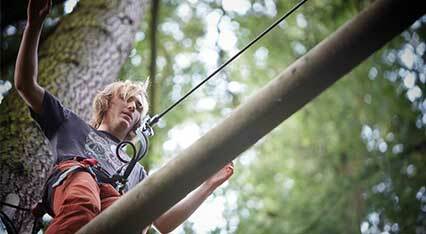 Have a look at the Go Ape website above to get an idea of the range of activities involved at a location near you. One service ID card holder must be present on your booked day to be legible for the discount. There is no limit to the number of friends or family you can bring with you under the discount. The voucher code to enter for a 15% Go Ape discount coupon can be applied between Sunday-Friday only and proof of armed forces employment will be required at the course upon arrival.